We’d love your help. Let us know what’s wrong with this preview of Painted Lady by Richard Masefield. From her luxurious mansion in St James’s, London, Milady looks back through the years – to hear the church bells ringing in celebration of Wellington’s great victory at Waterloo, at the time when she left clacking tongues behind her in the Sussex village of Alfriston for adventure and employment in fashionable Brighton, the ‘second capital of England’. There as the seventeen-year-old Sary Snudden, with her reputation already ruined, she becomes a prostitute, the ‘Painted Lady’ of the title. Moving from the great military encampments of Napoleonic Sussex to the pleasure grounds of nineteenth century Europe, from the practical routines of a well-run brothel, to the elegant manners of St James’s, Painted Lady spans a colourful half-century of European history. A delightful, romping adventure, the novel introduces an unforgettable new heroine to historical fiction. Richard Masefield comes from a family of writers – the poet, John Masefield, was his cousin – and with a personal love of animals and the outdoors, he decided at a young age that he would farm and write, if necessary both at once. It took years of hard work before Richard could realise his ambition and in fact his first published novel was written while milking his herd of Friesian cows. To ask other readers questions about Painted Lady, please sign up. This was a surprisingly good book. It was a free offer from Bookbub and those can be hit and miss. The flashbacks were timed well giving the story a hint of mystery. I enjoyed the main characters personality. The novel, Painted Lady by Richard Masefield was an interesting adventure through Regency England, as well as through different social classes. As an older women, the main character looks back on her life, and tells the story of her adventures in life and love. Her story shows what a strong and resilient woman she is, and how she paved her own road in life, and climbed the ladder in society during a time when being a prostitute was a hopeless and dreary existence. The love story within the novel The novel, Painted Lady by Richard Masefield was an interesting adventure through Regency England, as well as through different social classes. As an older women, the main character looks back on her life, and tells the story of her adventures in life and love. Her story shows what a strong and resilient woman she is, and how she paved her own road in life, and climbed the ladder in society during a time when being a prostitute was a hopeless and dreary existence. The love story within the novel is passionate and exciting, and the reader truly is hopeful that despite the huge social gap between them, they will somehow find a way to end up together. Her story takes the reader through regency London and Brighton, and then on to cross the Alps, and through Northern Italy. I enjoyed reading this novel, but I admit that it started out a little slowly for me. I’m glad that I kept going, because I did end up really enjoying it. Also, the main character, known both as Milady (when she is older) and Sary (when she was a young prostitute), was very likeable. The fact that she is the narrator of her own story really gives the reader an inside look at her thoughts and feelings during her life. I wouldn’t say that this is one of the best historical fiction novels that you’ll ever read, but it’s enjoyable, and it will keep you entertained for sure! It’s definitely worth picking up to read! 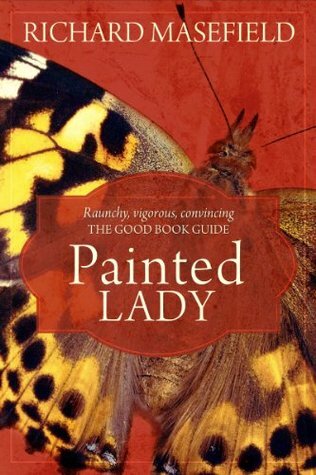 I give Painted Lady a FOUR out of FIVE stars!